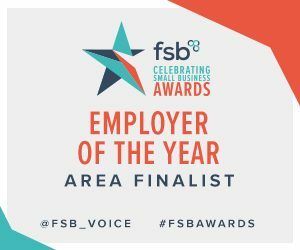 AJ Engineering has been shortlisted for an award which celebrates the success of small businesses. The company is a finalist in the Employer of the Year category in the Celebrating Small Business Awards 2019. The award nomination comes as the company launches a year of celebration events to mark its 20th year in business. Managing director Alan James said he was delighted to be a finalist in the awards which is run by the Federation of Small Businesses. The Awards attracted a record number of entries from across the North East. Denis Pinto, North East Area Leader said: “The finalists have been shortlisted because they represent some of the most exciting small businesses and self-employed workers across the North East business community. “They are businesses who have not only demonstrated growth and success in their sector, but who have also recognised their employees and contributed to their local communities over the past year. Last November, AJ Engineering was awarded the title SME of the Year at the Moray Chamber of Commerce Awards. The company was recognised for its continued commitment to employing apprentices and the fact that its turnover has increased year on year for at least the last three years.